The Edward J. Rickert residence designed by C.P.H. 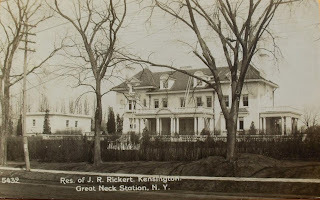 Gilbert c. 1908 in Kensington in Great Neck. 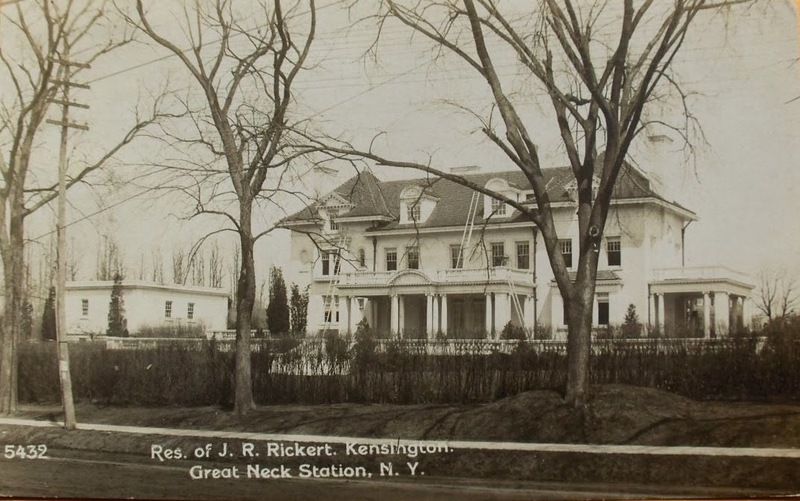 Rickert was half of the development partnership of the Rickert-Finlay Realty Company which developed Kensington. Click HERE for more on the Rickert residence which was demolished c. 1960. Why would this be demolished? Looks very maintainable.